Dust: An Elysian Tail was largely created by one man. Dean Dodrill was an original artist and animator for Jazz Jackrabbit 2, but had little programming experience until now. Originally planned as an Xbox Live Indie Games release, his work impressed Microsoft so much that he won their Dream.Build.Play challenge in 2009. The title released last year on Xbox Live Arcade instead, and is now available on Steam. So, how does the work of one man shape up? 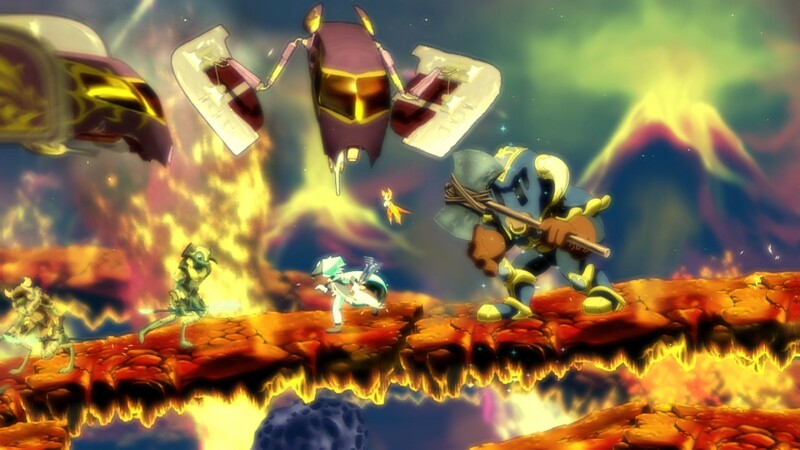 The action and exploration are put to the forefront in Dust: An Elysian Tail. The map will be familiar to anyone who enjoys Metroid or later Castlevania title. Environmental obstacles gate areas off from exploration, and a quick glance will give the player a clue to the upgrades you will get later. Instead of each screen taking up a square on the map, the squares each represent an entire area, and those areas are large. Some can take several minutes to cross, especially when facing difficult enemies before the player has leveled up some. This is a bit disorienting at first, and can be maddening when searching for a missing item that the map is telling you is present, but the map is easy enough to adapt to, and the environments are a joy to explore. The titular character, Dust, has a rather large array of attacks right from the start. The player can pop an enemy into the air, juggle them around, and slam them back to the ground so hard that surrounding enemies take damage. Dust’s companion, Fidget, casts magic spells which can be augmented with Dust’s secondary attack called the Duststorm. Mobility plays a large part in the combat as well, as Dust can jump, dodge, and use the Duststorm in mid-air to rapidly cross the battlefield. Unfortunately the game’s biggest strength is also perhaps a weakness. These abilities given out at the beginning are fun and create a lot of freedom for the player to get creative. 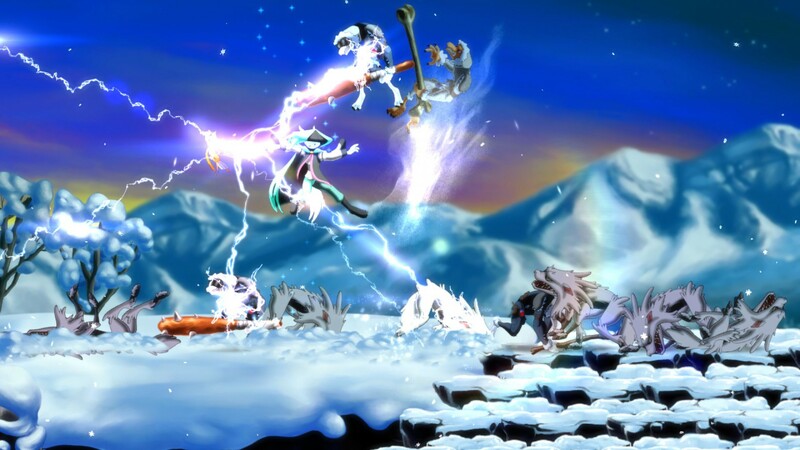 However, the powers gained later in the game include the requisite double jumps and slides of the Metroidvania genre. Since these focus more on exploration, there is little to spice up the combat itself. While the gameplay never exactly wears out its welcome, it does begin to feel a bit stale toward the end of the game’s ten or so hours. Dust faces off against several bosses, as well, but these are largely present to move the story forward and do not pose any real challenge to the player. The good news here is that the writing is excellent, and any gameplay fatigue is brushed aside to advance the plot. As Dust visits new areas and meets new characters, the player picks up side-quests to complete. Many of these side-quests and characters are found in towns, but I hesitate to call them hubs. You will be returning to them, but with shops sprinkled liberally throughout each area, you really don’t need to go back to the towns often. Characters are interesting and very well written, and the player takes a genuine interest in each one. Humor is sprinkled liberally throughout the writing, and the fourth wall is broken several times throughout. But the main story is the real draw here, which is truly mature and inspires the player to keep pushing to each scene. Players may not realize they are stepping into such a serious story looking at screenshots, however. 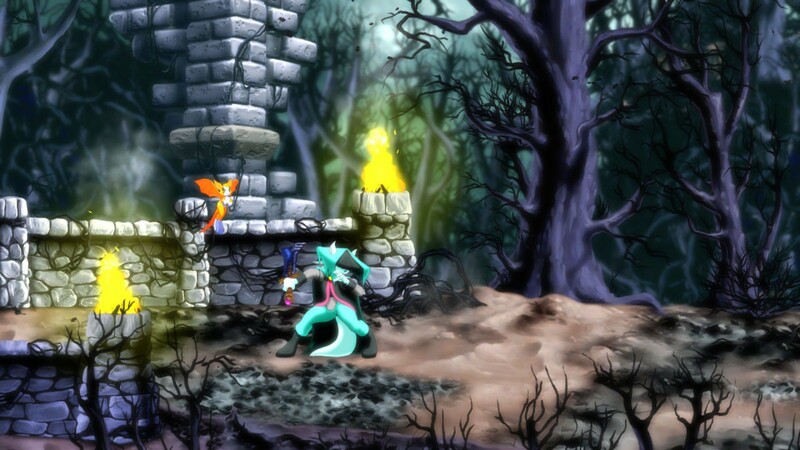 Unlike the dark story, the art style in Dust: An Elysian Tail is bright and colorful. The environments and characters would not be out of place in a classic animated film like Disney’s Robin Hood, and the whole package feels like a playable cartoon. This may catch some players a bit off guard, but the contrast serves the story well. The graphics fall apart a little bit when the camera zooms in close and things start to get very pixelated, which is a shame because this art is otherwise beautiful. The gorgeous visuals are accompanied by a stirring soundtrack from HyperDuck SoundWorks, and the package is topped off by solid voice acting. Each character is portrayed well, and even Fidget’s initially grating tone quickly becomes endearing. For those who played the game last year on the Xbox 360. the transition to PC is subtle but still impressive. The environments look cleaner, and everything seems to just pop more. Keyboard controls are available if you want, but this is really a game meant for controllers, and the Xbox 360 pad continues to be excellent. I did run into a fair bit of slowdown in darkened areas as the game seemed to struggle with its light sources. It was a surprise as it is running on a fairly powerful rig, but it was nothing that really detracted from the experience overall. 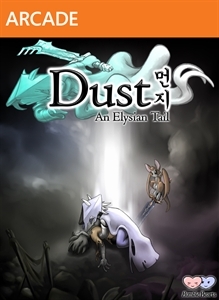 At the start of this review I mentioned that Dust: An Elysian Tail was created by one man for the most part. Had I not mentioned that, however, the level of polish in this game would make it hard to tell. The combat could have used some more depth, but it is never boring, and the story, characters, and art are excellent. To top it all off, the ending is superb, completing the experience. It is rare for me to play a game to the end and feel like the game has perfectly satisfied me, and Dust accomplishes exactly that. 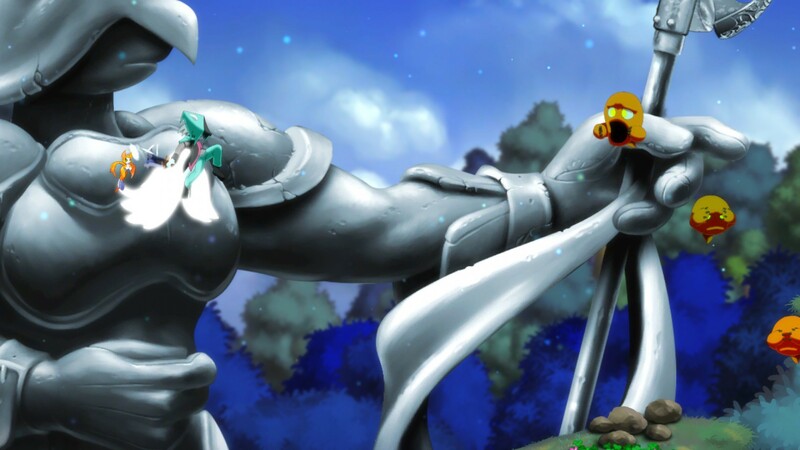 For anyone who enjoys action games, and especially anything in the Metroidvania genre, you owe it to yourself to give Dust: An Elysian Tail a chance. It is truly excellent, and I can’t wait to see what Dean Dodrill has up his sleeve next.